Canada’s first-ever national anti-poverty strategy must have a meaningful impact on those whose lives are most precarious. Issues related to precarity, including poverty, are complex by nature. This is why Canada needs a strategy that tackles precarity and poverty in a thoughtful and comprehensive way. 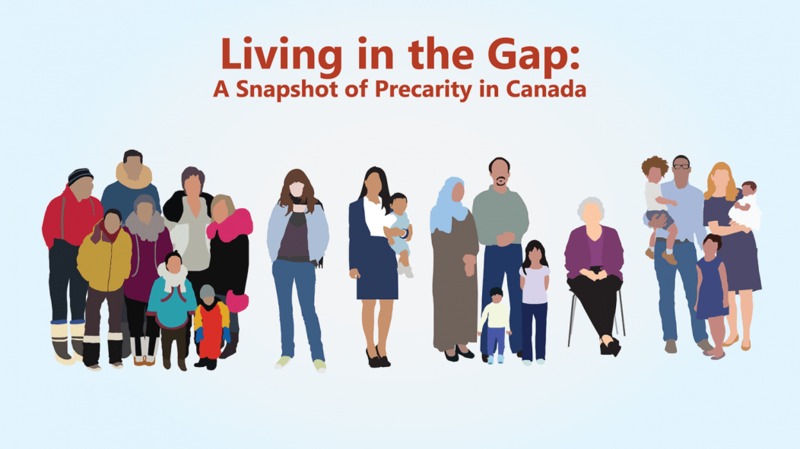 Living in the Gap is a series of infographics developed for the Dignity for All Campaign, which is co-led by Citizens for Public Justice and Canada Without Poverty. They show a snapshot of the monthly incomes, expenses, and experiences of six fictitious households. Drawn from across the country in rural and urban settings, these snapshots illustrate how precarity affects our lives on a daily basis. These profiles are not unusual; they represent what it’s like for typical families living in the gap between what they have and what they need. They also show why it is important to use targeted, evidence-based approaches to tackling precarity and poverty in Canada. 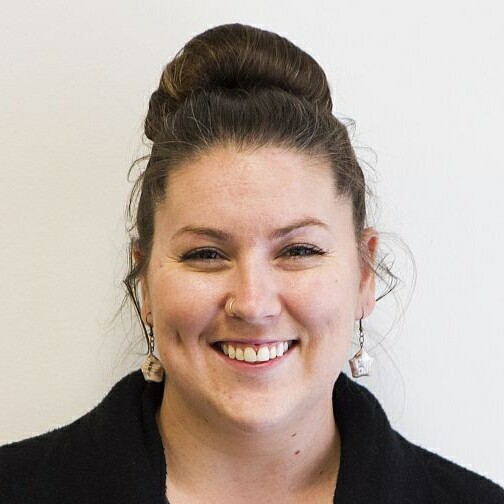 Sarah was first introduced to CPJ during her practicum placement with Canada Without Poverty, where she worked briefly on the Dignity for All campaign.Sarah’s passion for social justice became entrenched during her studies at Carleton University. She is especially interested in systematic injustices and the effects these injustices have on marginalized groups within Canada and beyond. This includes a special interest in power relations and remedial strategies.She holds an Honours Bachelor of Arts degree in Human Rights and Social Justice, combined with a double-minor in Anthropology and Political Science. This unique, interdisciplinary combination has helped Sarah achieve a broader understanding of the cultural, political, and rights-based components of complex socio-economic issues.Sarah is also passionate about the legal components of social justice and has been pursuing a law degree at the University of Ottawa since completing her time with CPJ.